Sri Lanka’s Cultural Triangle is located in the central region, encompassing five sites listed as UNESCO World Heritage. 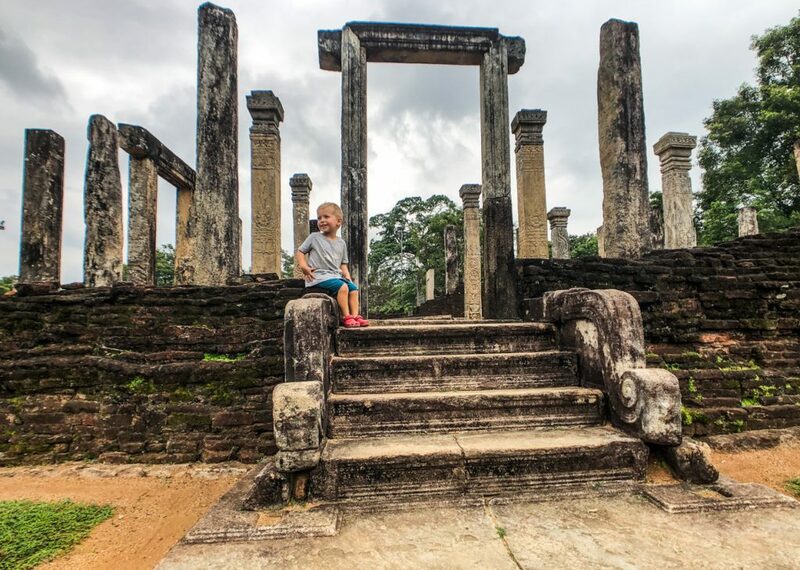 Sometimes overlooked by tourists, who prefer not to venture that far from the capital and beaches, it is full of historical and cultural sights, marking the golden age of the Sinhalese civilisation. In the Cultural Triangle, we set our base in Dambula, to be in the middle of the region we were planning to explore. We spent 3 nights here but we could easily add another one. There were much more to be explored! We did not realised before getting here that each site will take so much time; they are big, impressive and full of information had no clue about. Also, it was by the end of our 2 weeks trip in Sri Lanka. We had a busy schedule, with lots of kilometres and visits. So we were a bit tired and looking forward for a few lazy days before leaving the country. But this region is not just about history and culture. Minneriya National Park is right in the center of the triangle. 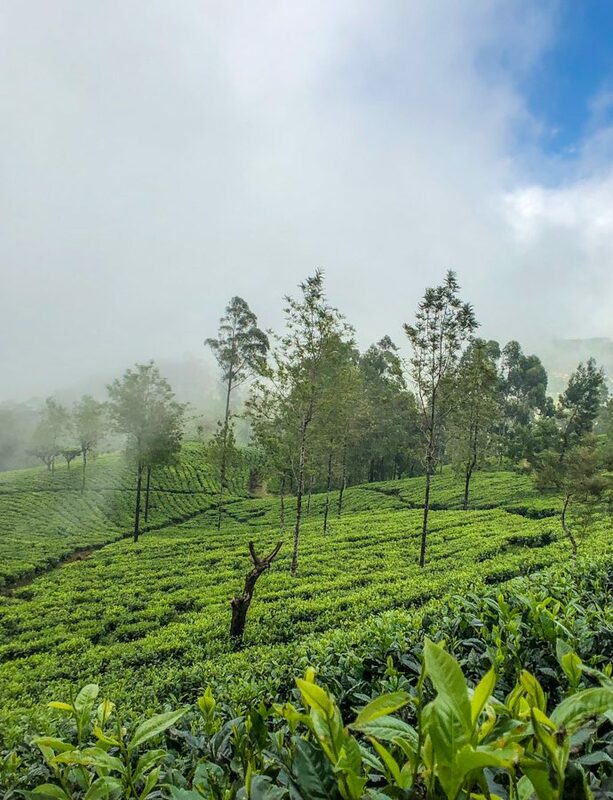 It is a great opportunity to take a break from ancient cities and explore Sri Lanka’s wildlife, if you did not planned this in a different location. 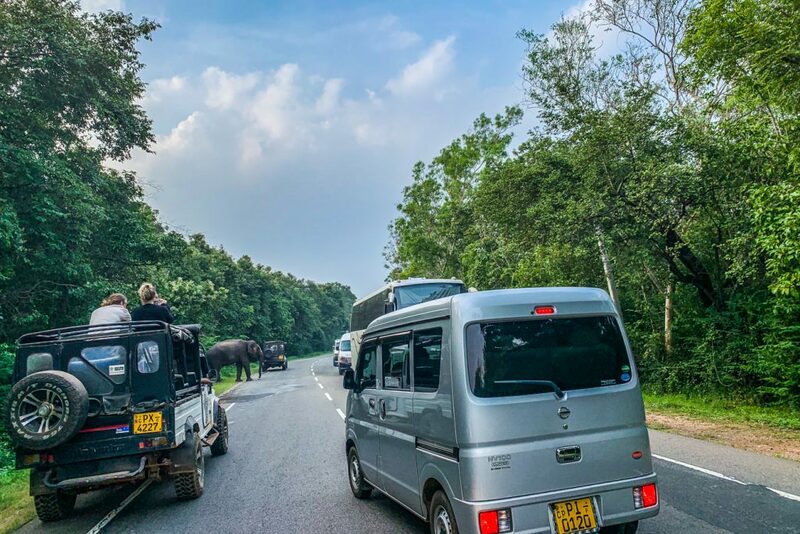 We took a safari in the Southern region, in Udawalawe. 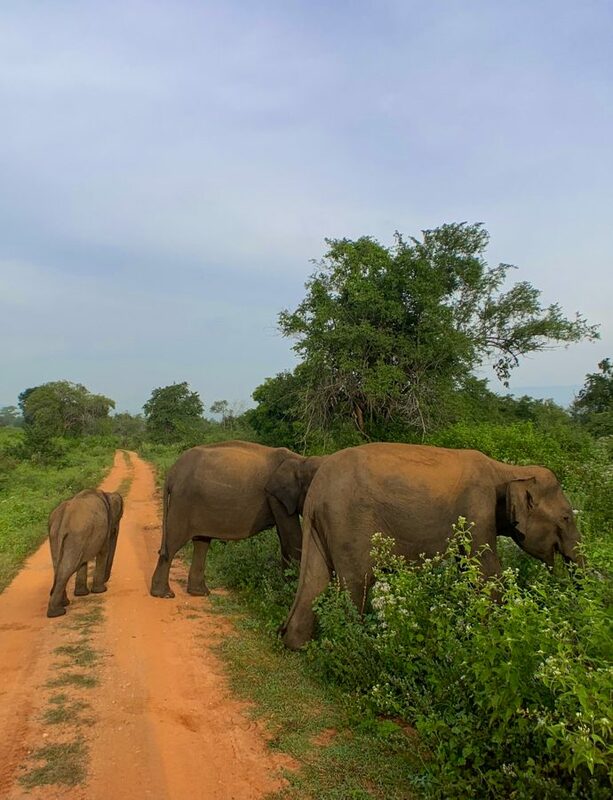 But each time we were driving between Dambula to Pollonaruwa, we saw elephants bathing in Minneriya reservoir and even crossing the main road. It was a bit scary at first, but they seemed used with car traffic and human interaction. 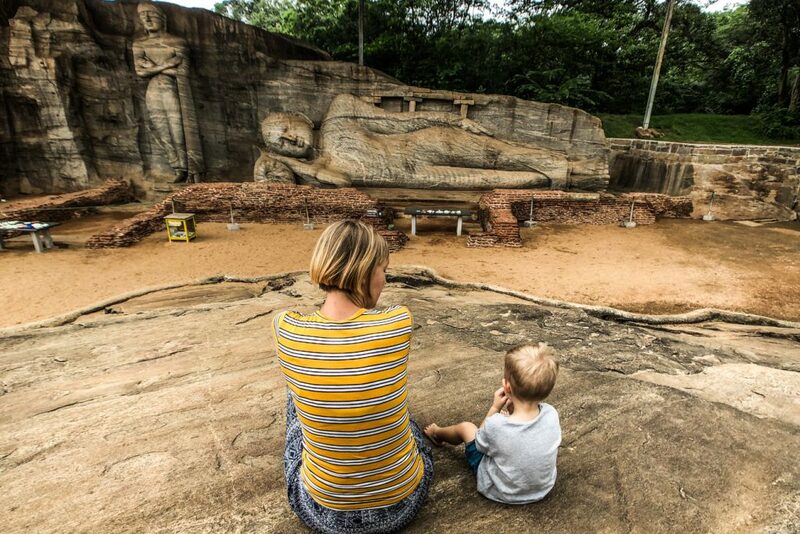 While we were in Sri Lanka’s Cultural Triangle, we managed to visit 3 of its UNESCO sites. 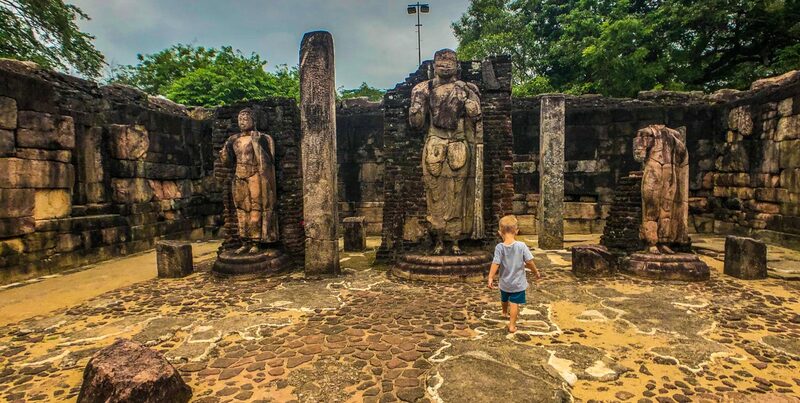 The ancient city of Polonnaruwa is a very impressive archeological site. I have to admit I was a bit ignorant about the history in this part of the world, so I never imagined such a big capital city existed here, more than 800 years ago. The ticket is quite expensive (25$), considering Sri Lanka prices, but I consider it to be a great investment! Access to the ruins is not the best, as the ticket office is a bit far from the entrance. It is also not very well marked, next to the main roundabout, close to the Police station. We almost missed it, but one tuk-tuk driver pointed us to the right direction; Sri Lankan people are usually very friendly and helpful. The site itself is huge and you need some transportation inside it. You can get a tuk-tuk, a car or rent a bike, there are hundreds of them around the entrance. 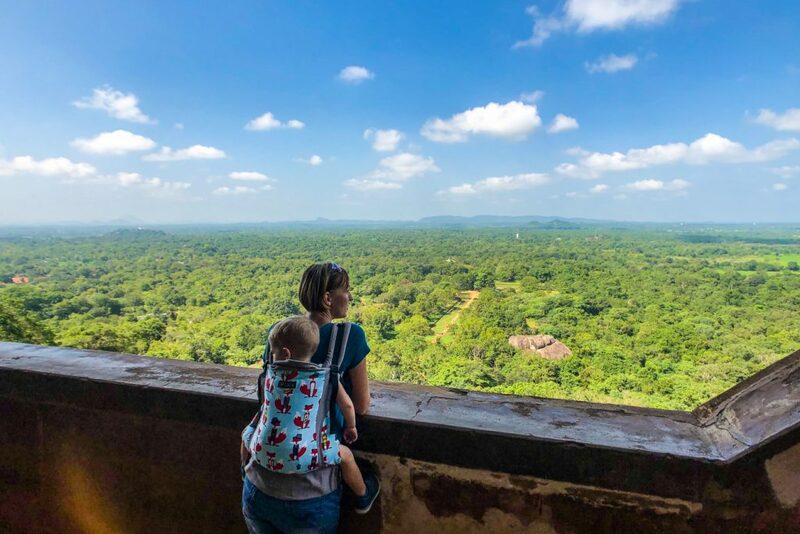 Since we already rented a car in Sri Lanka and we had a young child with us, this was the most convenient option, but riding a bike around the ruins should be an awesome experience. 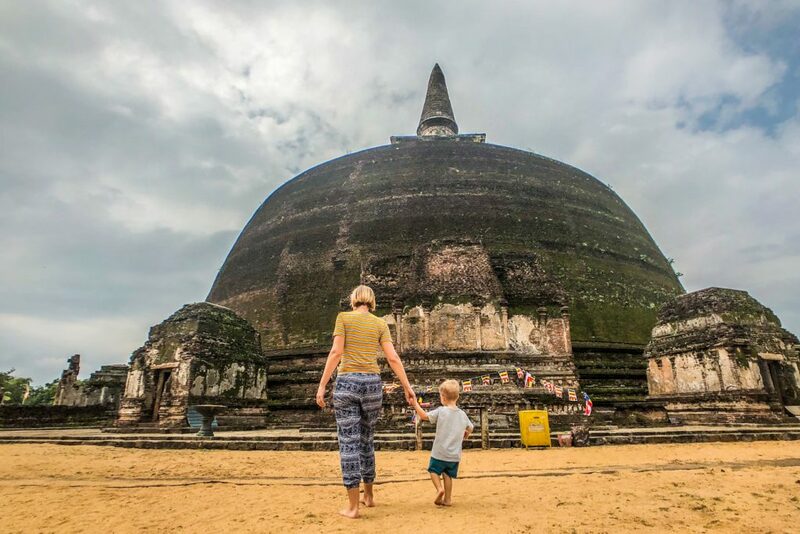 Polonnaruwa Ancient City hosts several sacred buildings, so you will need proper clothing to visit. Most of the ruins require you to take your shoes off. I recommend wearing flip-flops, sandals or something else easy to take of and put back on, as you will do the operation a lot. Also, I can’t even think how it feels to visit on a rainy muddy day! We spent almost 2 hours visiting the ruins, but we could stay there another 2, if it wasn’t for Eric to get bored and hungry. We have climbed before on an inselberg in Guatape, Colombia, but Sigiriya it totally different. Not only that in rises at 200m above its surroundings, to dominate the green jungle and rice fields, but it hosts ancient ruins on top! 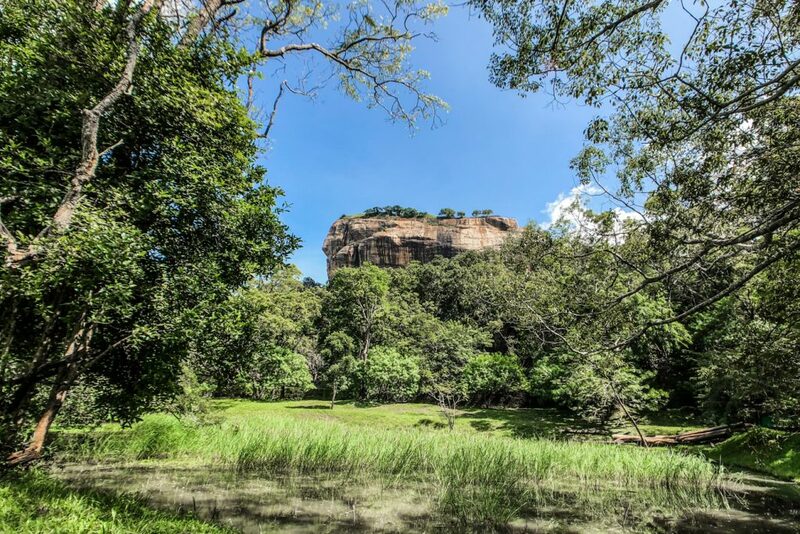 A Sinhalese king from the Vth century chose Sigiriya as a strategic location for his palace. There are lots of versions and controversies around the story. 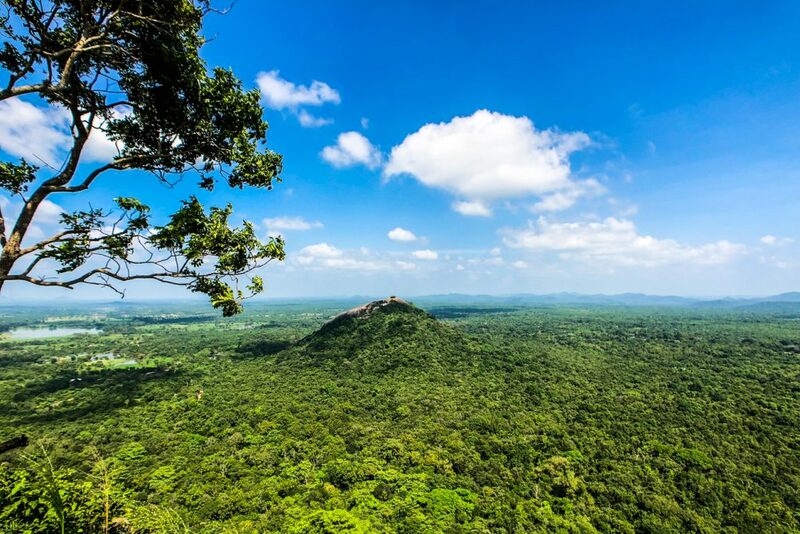 What is sure is that Sigiriya, also known as the Lion Rock was the capital for a short period of time. It then hosted a Buddhist monastery until the 14th century. 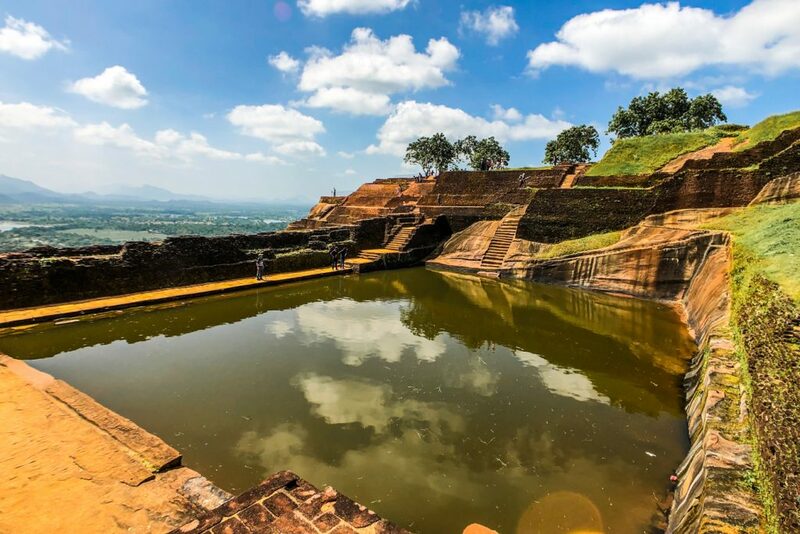 Sigiriya is impressive not just for its natural beauty, but also for the architectural and technological value. It is considered one of the finest examples of ancient urban planning. Its landscape gardens, but also the hydraulic systems are one of the oldest in the world. Plus the frescoes, very well preserved and unique in their style. One of the most visited places in Sri Lanka, expect it to be crowded and try heading there early morning. This would also help to avoid midday heat, as there are over 1,200 stairs to the top. Still, it is not a very difficult ascent, we saw even kindergarten children climbing Sigiryia Rock. I was carrying Eric in his Isara and easily made it to the top. I found it funny that lots of locals offered to help in exchange of a small sum, I can’t understand what toddler would stay for 10-20 minutes to be carried by a random stranger! On your way up, just beware at the monkeys! They are everywhere and are not at all scared by humans. One monkey even stole a biscuit from Eric’s hand… you can’t imagine the tragedy it triggered! The entrance to Sigiryia Rock costs 4,800 LKR (around 30 $), but I consider it is totally worth the money. I heard people that said this is too much and chose to climb Pidurangala rock instead, for just 500 LKR. Even though that seems interesting too, I don’t think they can be compared or replaced one for the other. We actually planned to do Pidurangala too in the afternoon, but Eric was too tired after Sigiriya. 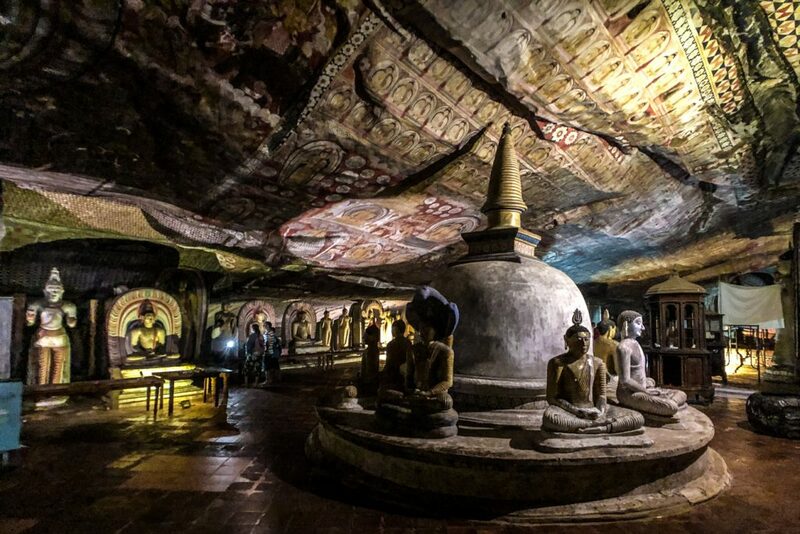 Dambulla Cave Temple is the largest and best-preserved cave temple complex in Sri Lanka. There are five caves that can be visited, which hosts impressive attractions, but many more caves were discovered in the area. At the bottom you can also visit the Golden Temple, that also features a small museum. The climb up to Dambulla rock is quite easy, even Eric could do part of it by himself. The panorama is amazing, especially around sunset, so it is best to plan your visit in the late afternoon. 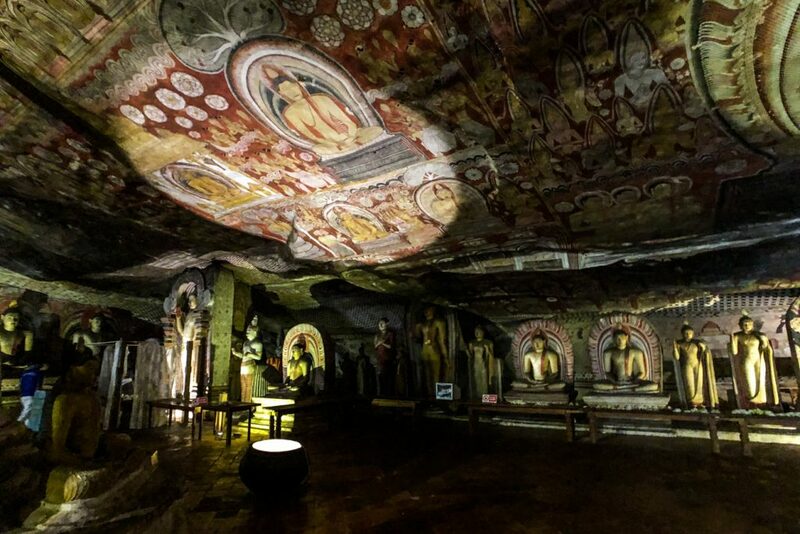 The ticket price for Dambula Cave Temple was 1,500 LKR (around 10$). Make sure you wear proper clothing when visiting the temple. 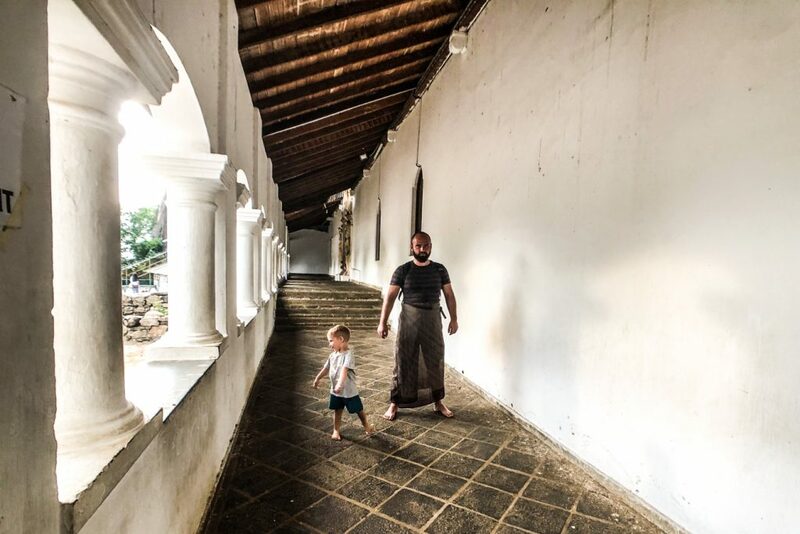 Actually this was one of the few temples where Andrei was required to cover his knees too, so he had to rent a sarong. 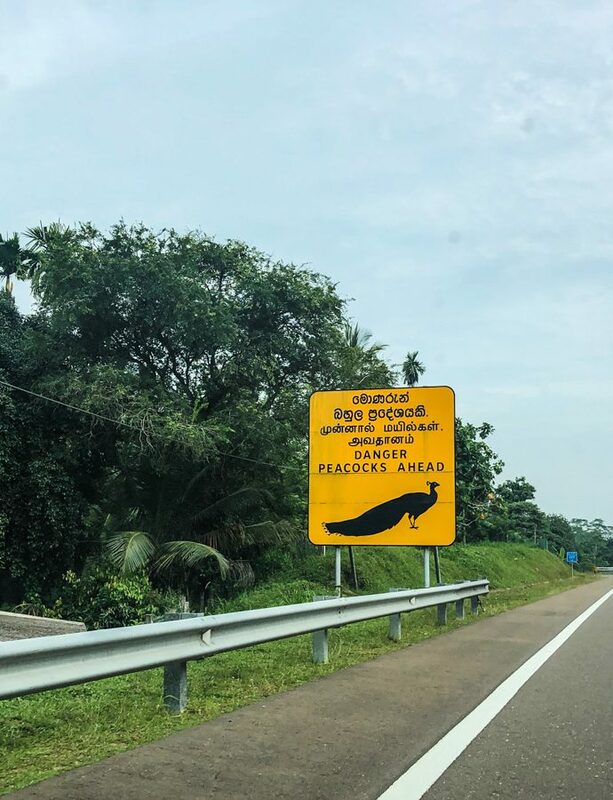 We wanted to see the Sacred City of Anuradhapura too during our trip around the Cultural Triangle, but it was just not enough time for this. 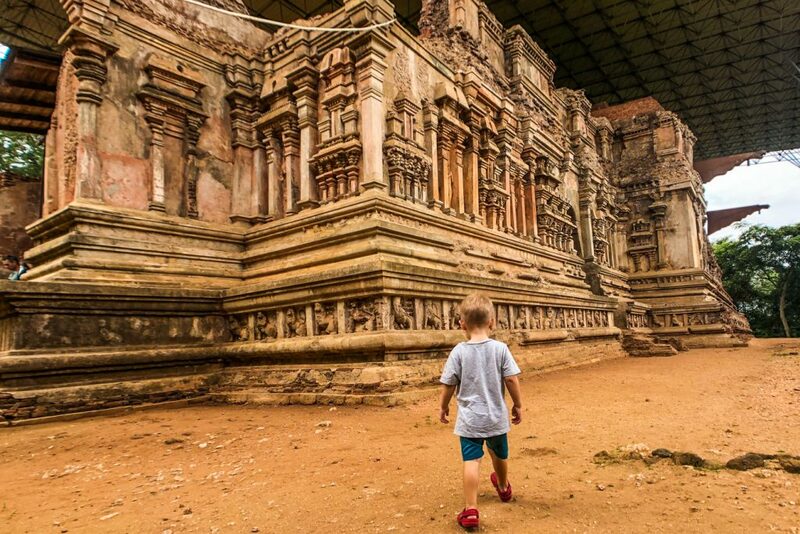 Traveling with a child through ancient ruins you need a bit more time to rest, to avoid him getting overtired. We also skipped Kandy, a quite popular location for tourists in Sri Lanka. Kandy was not in our initial plan as I read a lot of bad reviews about it. 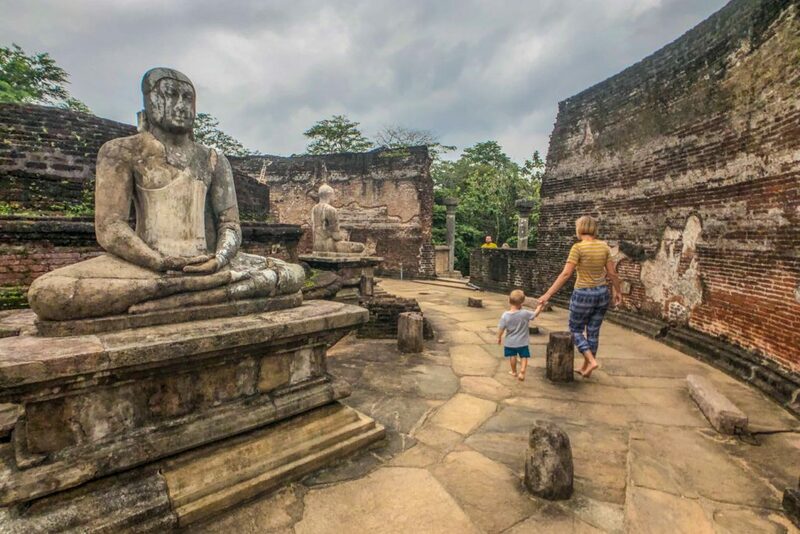 We also met several different groups of travellers in our two weeks Sri Lanka and every single one had the same feeling after a trip to Kandy. They were all disappointed and said it is worth maximum a 1 day stay if you really want to see the Temple of the Tooth, a very important place of worship in the Buddhist world. I read your post and it makes me so motivated to visit Sri lanka one day!! thanks.!!! This destination is in my bucket-list since awhile. I would love to experience the wildlife there, i think there are such a huge amount of animals to spot in the wild there like (elephants, birds, …..). Apart from that, i want to get closer to the community for cultural immersion such as tasting the local delicacies, knowing their way of life through history, participating to their daily routines. So happy you found it useful and motivating!